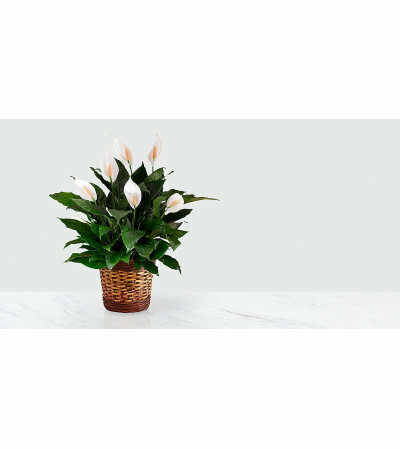 The Peace Lily Plant is a beautiful way to send your special recipient your best wishes in honor of any of life's most treasured moments. A hearty houseplant that does well in most environments when cared for properly, this peace lily displays striking white cupped blooms amongst dark green foliage to bring life and beauty to any space. 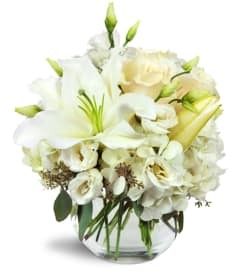 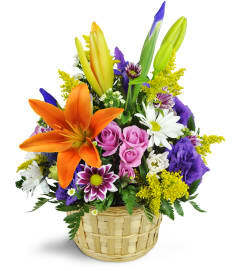 Presented in a natural woven basket, this gorgeous blooming plant is set to make a memorable thank you, thinking of you, or sympathy gift.